"Toys have evolved over the years, and advertisements may leave parents with the impression that toys with a 'virtual' or digital-based platform are more educational," pediatrician Dr. Aleeya Healey, lead author of the report, said in a statement. "Research tells us that the best toys need not be flashy or expensive or come with an app. Simple, in this case, really is better." Though the clinical report referred mainly to children ages 5 and younger, it said that the most ideal toys are those that match the child's developmental abilities while encouraging the development of new skills. Caregivers should choose toys that allow children to use their imaginations — ones that aren't overstimulating. "The best toys are those that support parents and children playing, pretending and interacting together," said Dr. Alan Mendelsohn, co-author of the report and associate professor in the Departments of Pediatrics and Population Health at NYU Langone Health, in a press release. "You just don't reap the same rewards from a tablet or screen," he added. "And when children play with parents -- the real magic happens, whether they are pretending with toy characters or building blocks or puzzles together." Many of the new "interactive" entertainment choices, including videos, computer programs and tablet apps, make claims about educational benefits in their advertisements. But according to the AAP, these are unsubstantiated. "The more we know about early brain development, the more we understand the need for play that is based on human interaction," Healey said. "There is no screen, video game or app that can replace the relationships built over toys." 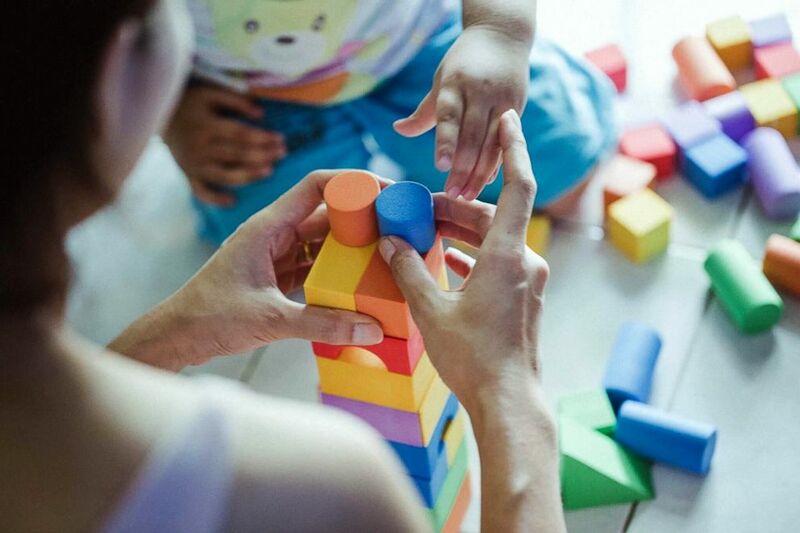 (STOCK/Getty Images) This stock photo depicts a mother using building blocks with her child. Johanna Kreafle is an emergency medicine physician at the Carolinas Medical Center in Charlotte, North Carolina, and a member of the ABC News Medical Unit.